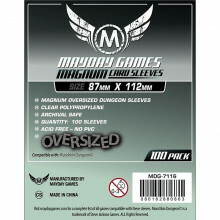 Protektory Mayday - Magnum Oversized Dungeon (87x112 mm) - 100 szt. Protektory Mayday - 80x120 mm - Magnum Gold - 100 szt. 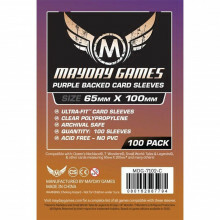 Protektory Mayday: Mini European Premium (45x68 mm) - 50 szt. 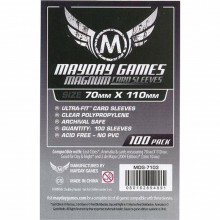 Protektory Mayday Magnum Silver (70x110mm) 100 szt.